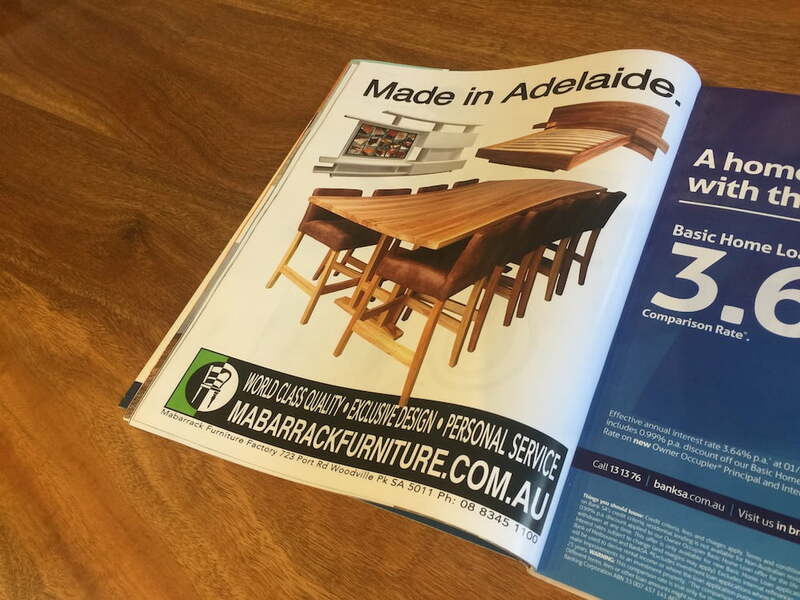 The furniture market in Australia continues to rapidly change towards a “fast food” style offering via imported mass produced, price driven, low value furniture flooding the market via huge bulk buying corporations. Most customers I speak with on a daily basis are sick of the poor choice, quality and value in todays retail furniture market and more and more people are seeking something local and special. Just like wine, there’s fine wines and there’s budget casked wine but its all wine right? Well obviously not so this is a great analogy for furniture that puts it in perspective. Just like a cheap wine, you don’t need to interact with it for very long before the lack of quality becomes pretty obvious. Long gone are the old industrious Adelaide days with a factory in every suburb and making things here was a huge chunk of the economy, now the only type of furniture that can be manufactured locally and viably is premium, high end, contemporary timber furniture (because Australia is blessed with so many lovely timbers and timber is timeless) Furniture crafted just for you by highly trained South Aussie craftsmen, sold and priced at factory level for maximum value and design flexibility and all made from timbers hand selected by you. Essentially ‘designer’ furniture where you get involved while avoiding full custom pricing. We realised almost 10 years ago the retailing our own locally made product made no sense so we wound it back to factory direct, just like the start in 1952. We’re in the process of shifting our systems away from providing pricing for our furniture online or by phone to encourage people to visit the factory showroom to inspect our quality and choice before jumping straight to price. We find it hard to do business when price is a potential customer’s first consideration. This is not the fault of the furniture shopper, this is the result of the mass produced import market where the perceived value of ALL furniture has been driven into the dirt for a couple of generations now. Sure price is a huge factor for most so its very important you do your homework on furniture before spending large amounts of money, it’ll help you establish a budget and maximise your dollar value. As we hand craft all our own furniture, we’re not out in the market competing on price, we’re competing on design, quality, choice and value and we believe we are miles ahead in all 4 of those areas. Occasionally we can successfully “build to a budget” by altering our designs, materials and construction methods but we never sacrifice quality just to achieve a budget. Ever.